I got up before dawn. It was a nasty, misty, rainy, and cold autumn morning that is utterly miserable to shoot in. This is weather that can destroy camera equipment... and it was perfect. It was a perfect morning to get moody, steam and smoke filled nostalgic views of historic steam at work. 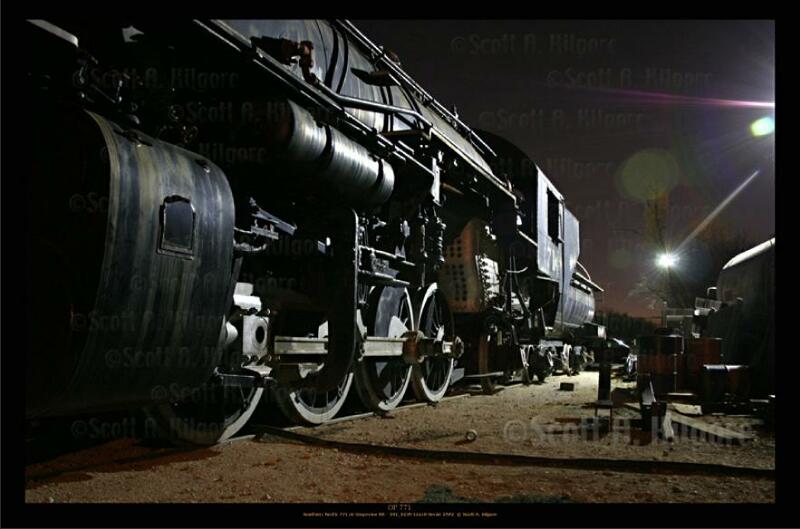 I had been invited by the crew for a rare opportunity to shoot the locomotives working in the yard the night before. No one really knew what the weather would be like in the morning. In just a short time, I was soaked, even with heavy rain gear on, and a couple lenses needed dried out by the end of the morning. The results were worth it. 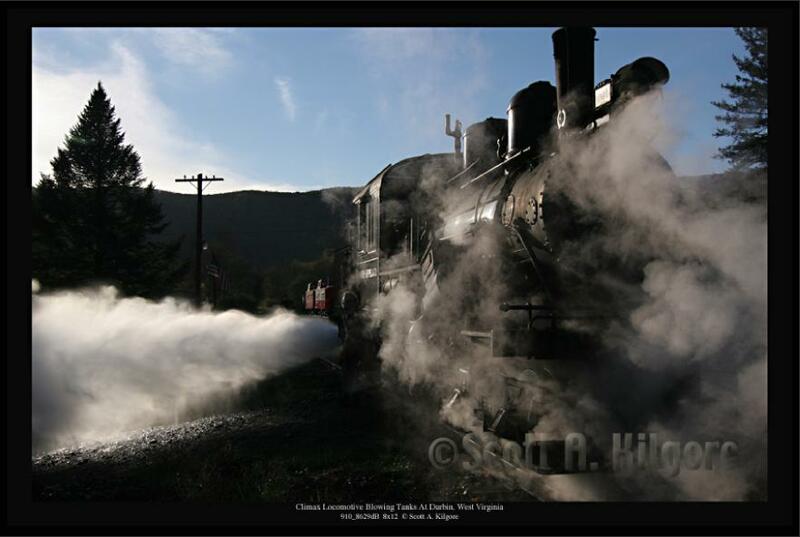 I had been wanting to go to Cass for over 10 years to capture the intense steam, smoke and mist that these old geared Shay and Heisler steam locomotives can produce. The previous days had gone from clear to rather overcast, but not weather that really contributed to as much drama. Of course you should always be careful what you ask for. It was so bad for the first two hours that the trains crews really didn't want to go out, and, at times, I could barely see through the viewfinder with all the mist and rain. 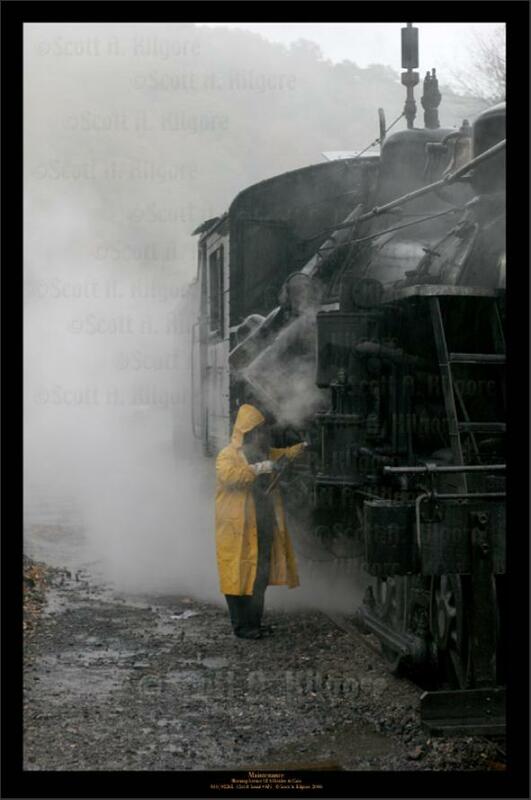 The scene to the left had so much mist, rain, smoke and steam that neither the engine or the crew were visible at times. This particular shot is purposely very grainy to give it much earlier nostalgic appearance. 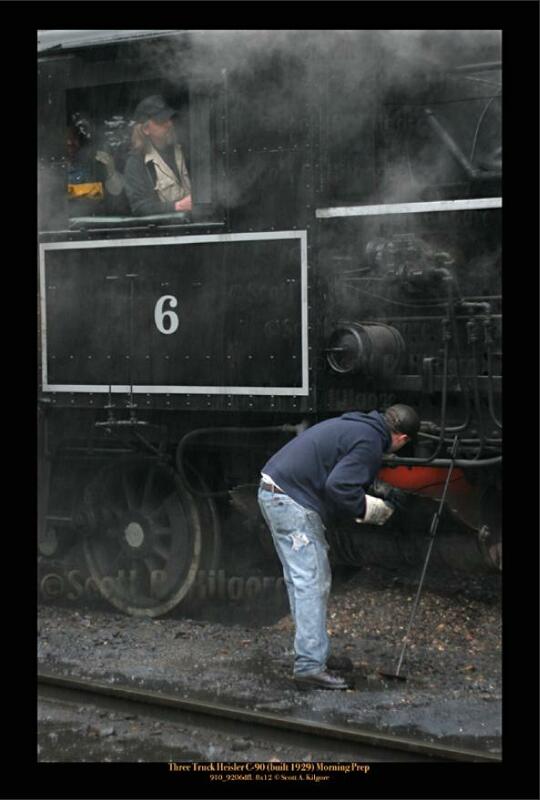 "Maintenance" and "Morning Prep" depict some of the extensive and constant maintenance that steam engines required. In the early days of conversion to diesel-electric locomotives, most train crews were not too nostalgic for steam locomotives. 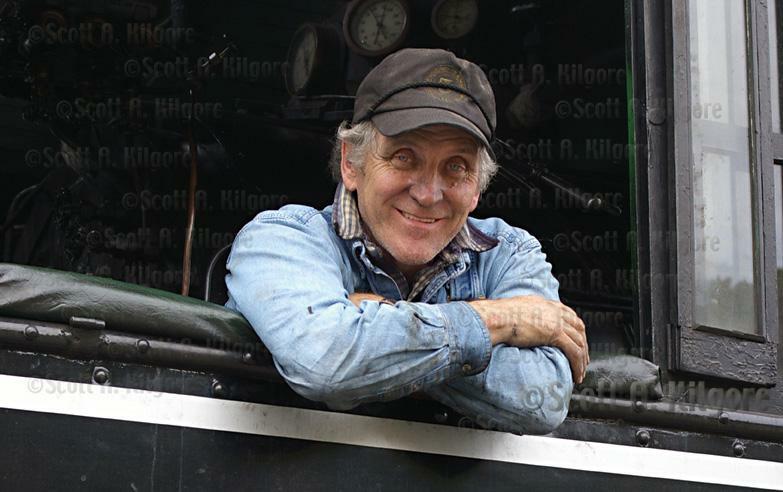 After all, if you were working in a locomotive all day, which would be more appealing, a clean diesel cab, or a smoky, dirty, drafty steam engine cab. But shop personnel who maintained the steam locomotives were frequently upset when the diesels arrived. They required little maintenance and repairs, so most of these employees lost their jobs. As the old steam power started to disappear, with the old engines being scrapped at an alarming rate, nostalgia for these wonderful beasts took off. 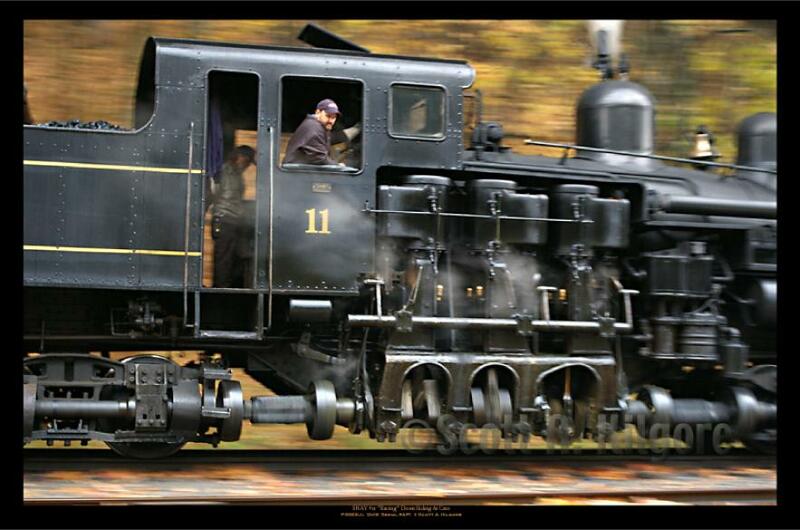 A steam engine is much more interesting than a modern diesel. 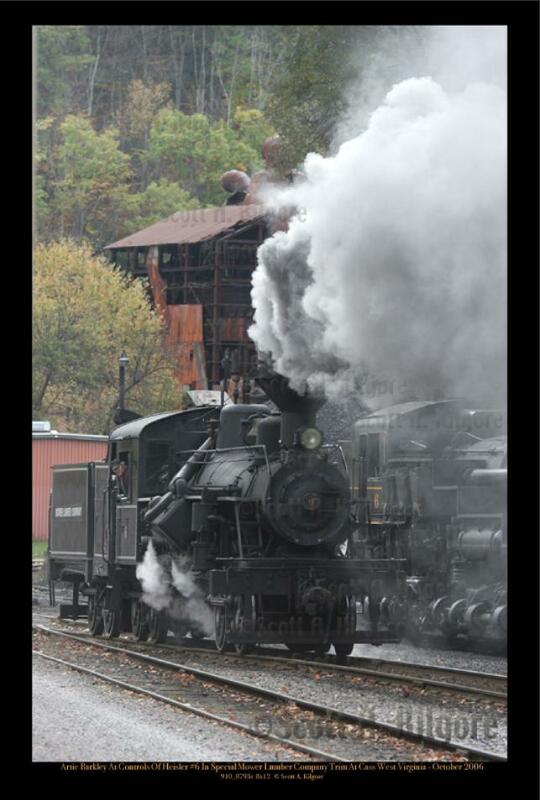 A steam engine almost seems alive. 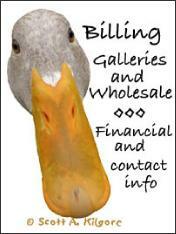 It breathes and hisses. It exudes power. Like an old car, be it, say, a Model T or an old MG, compared to a new sports car, the new car is more efficient, faster, quieter, and better in every technical sense. But the old car has more personality, more romance, and more of a connection of man to machine. In essence, the old car, like the steam engine, remind us what it is like to be human. More views may be added from Durbin and Cass later, so if you like these, tell me. It will give me incentive to add to this series. Engineer and shop foreman at the Cass Railroad, retired in 2007, just a few months after this shot was taken. He worked for the Cass since the 1960's, was the heart of the Cass, and an all around good egg. This view was taken before the loop was was rebuilt and before the trees grew back. Now the trees obscure the view of the train so it cannot be seen like this. And since the reconstruction of the loop, the train no longer backs down the slope. This photograph presents a unique historical scene, shrouded in the mist , fog, and smoke of a September morning. 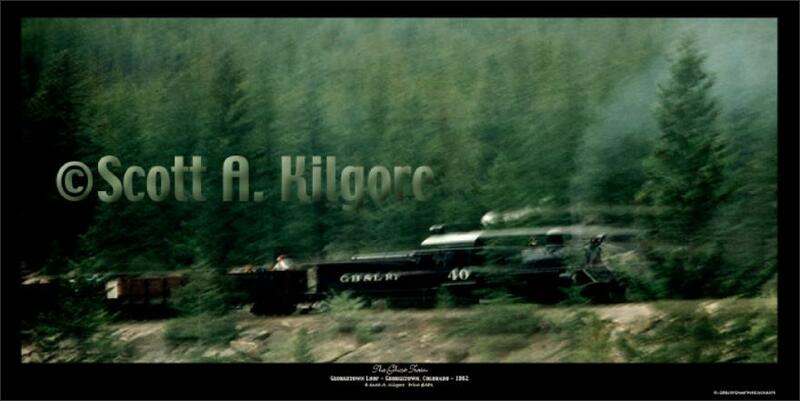 Many more railroad related scenes will be added here. Most will concentrate on new or recent work produced since 2003. Since I have already re-shot or have plans to re-shoot trains in Colorado, New Mexico, Texas, and California, any of my similar work on film may not ever be used due to the time involved. While I started high resolution film scanning in 1996, I did not make much progress on the railroad film stock I have filed away. Since I have discontinued scanning for the foreseeable future due to the volume of more recent pure digital work that I have to work with, it will likely be years before I add more scenes from the 1980's to 2003 when I stopped shooting film. In the case of 1970's work and the Ektachromes I shot till the late 1980's, the quality of film materials limits reproduction size for the minimum quality I expect to around 8x10 to 8x12 for the 35mm film I usually used. The grain size just doesn't meet today's standards, and never met my expectations. I always wanted prints that had the definition of a fine 4x5 to 8x10 view camera print of the 1950's. Think of the work of Winston Link or Ansel Adams. Even a 4x5 Speed Graphic is not capable of capturing most of my subjects. Most of them are simply moving too fast, and require high magnification. A digital sensor, or array of sensors of 80 mega pixels or more used in a 4x5 view camera (with an excellent lens) would yield stunning prints 10 feet wide or more. With film and an enlarger, the same quality results would yield a print about 4 feet wide out of the same camera and lens. The big advantage digital photography offers is no generation loss and a lot less grain effect. However, if an 80 mega pixel sensor ever becomes available in a 35mm sized digital camera, the optics are going to be the weak point. To make best use of such a sensor would require lenses resolving 120 line pairs per mm or more. Extremely few lenses ever made for 35mm or digital SLR's resolve over 100 lines. Sadly, many optics, even very expensive ones, don't resolve half that. There are no lenses made for larger formats with that high of resolution. The best medium format glass, such as Zeiss made for Hasselblad rarely hits 80 lines and most large format (4x5, 8x10) lenses rarely yield over 40 lines pairs per mm. Most of the lenses that resolve over 100 LPPM, at least that are commercially available, are made for Leica and Voigtlander rangefinder cameras. Many of those lenses could make wonderful use of a 54 mega pixel full frame 35 mm sized sensor. And that combination could easily match the print quality of the best a 4x5 film view camera could yield. Wow, I'm waiting! Much of what I shot from the late 1980's on Fuji film emulsions will produce prints nearing the quality I can get out of current DSLR's of 6 to 10 mega pixels up to about 12x18 inches. Even medium format used with emulsions such as Fuji Provia only comes close to the greater enlargements possible with DSLR's starting with the Canon 1Ds in 2002 and the Canon Digital Rebel in 2003. 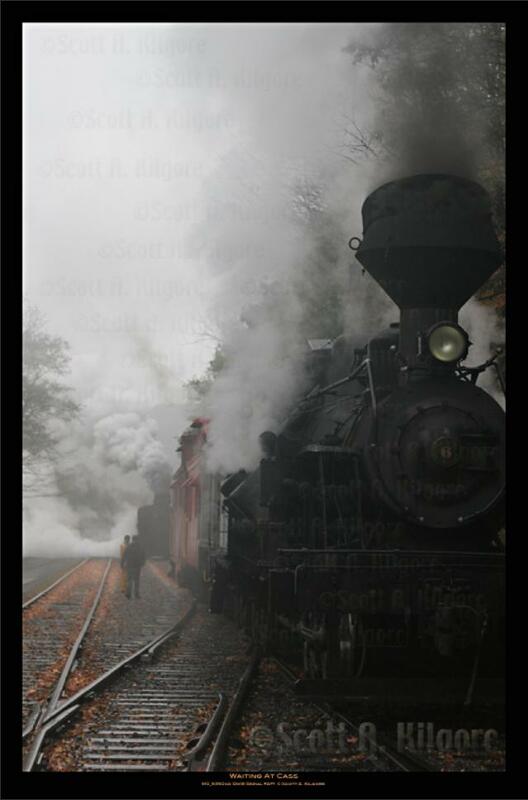 Therefore, since I prefer to offer large high resolution prints up to 30x45 inches, and film doesn't offer the capability I desire, only the irreplaceable images, such as the "Ghost Train" (above) are likely to be offered from film. Historic scenes or unusual scenes will be scanned at some point, but "timeless" views will usually be re-shot. Now you know why I use digital cameras after 30 years of shooting film. Digital beats film in quality. But you still have to have excellent lenses and technique. Photography is not about film, it is about images. It is all about the print. If it was important that there be only one way to get there, we would all still be using glass or metal plates. And good digital does not look "digital". It looks like very high quality film with little grain. A friend of mine that has worked for one of the major camera makers for about 30 years likes to say to people who complain about digital photography not looking like film, "If you want digital to look like film, go to Photoshop, Filters > Add Noise. Now your digital will look like film." Except as an effect, this goes against the goal of photographic technology going back to the 1830's. Higher quality being described as not being photographic is as silly as complaining that Ansel Adams work was too sharp. 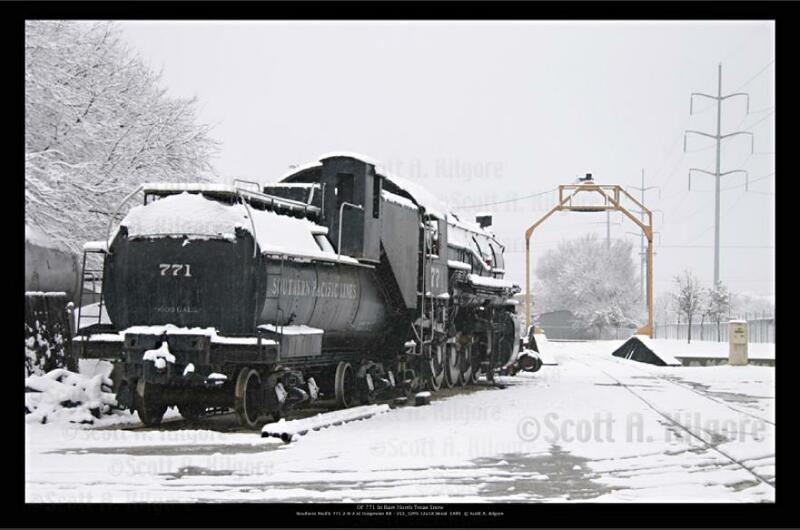 Canvas prints are available on all images in sizes from 12x24" to over 12 feet.